On one very famous afternoon at The Valley in December 1957, with just an hour gone, Charlton Athletic found themselves 5-1 down to Bill Shankly’s Huddersfield Town. An away win in this Second Division fixture was now on the cards. Centre half and club captain Derek Ufton had been stretchered off with a shoulder injury in the first 15 minutes of the match when there was no score. No substitutes were allowed back then, so Charlton were really under the cosh. Amazingly, however, the ten men fought back and managed to win the thrilling game 7-6. Ufton, who was taken to hospital in Greenwich to receive surgery, recalled that just before the anesthetic he was told his team was now losing 4-1. When he awoke and discovered the final score he refused to believe it. He had taken part in the club’s most memorable match and missed all thirteen goals! I had a nice chat with Derek Ufton on the telephone last year, a few weeks before his 85th birthday. The former Dulwich Hamlet player from a lifetime ago told me all about the incident at Charlton. He has reeled off that same story countless times over the years to friends, admirers, interviewers, at dinners and get-togethers with Charlton, Kent County Cricket Club, and many other charity organizations he has belonged to. Today he is a Kent Ambassador. The dislocation of his shoulder, or rather both shoulders was a frustrating injury he continually had to put up with. It happened on twenty separate occasions throughout his sporting life. Thirteen times on one side of his body and seven on the other. These persistent injuries did not affect him mentally, but he once calculated that it cost him about one hundred games from his career. The first time it happened was in an army match following the war while he was doing his national service. The injury reoccurred early in his Charlton career, and the loosening of the joints meant this was something that was not going to go away – especially if one happens to be a robust defender. Derek Gilbert Ufton was born in Crayford in Kent in 1928, and began to attend the Dartford Grammar School just before the start of World War Two. When all school sports were abandoned he put together a football team with some of his mates and joined a local schoolboys’ league. His hero was goalkeeping legend Sam Bartram of Charlton Athletic, today regarded as one of the club’s greatest players. Little did young Derek know at such a tender age that one day he would be playing alongside Bartram in the Charlton team. Like Bartram, he donned a pair of gloves and enjoyed nothing better than diving around trying to catch a ball. A cricket ball! In the summer months he took to wicket keeping, and enrolled in the celebrated Alf Gover Cricket School in south west London. The indoor cricket school was halfway up East Hill, just off the Wandsworth High Street, and players came from halfway round the world to improve their technique. Gover, who was at the tail-end of his career with Surrey during the war period, holds a legendary status in the annals of cricket. His students read like a list of world greats, including India’s Sunil Gavaskar and West Indies’ trio Garry Sobers, Viv Richards and Brian Lara. An old narrow staircase led to the almost shrine-like gas lit cricket nets. Here groups of teenagers, learning the game, rubbed shoulders with cricketing greats perfecting their own. And amidst the odours of linseed and liniment, and the thud of ball on bat, one would invariably find ‘old Alf’ impeccably kitted out in his England sweater and customary silk cravat: "Bat up, son. One to drive.” his favourite mantra. One of the teachers at the school was Leslie Todd, who started out in the Dulwich Hamlet junior football team as a left winger in the early 1920s. Later he became a top cricketer for Kent in the 1930s and still turned out occasionally for the Hamlet’s wandering cricket side. Todd took a shine to the youngster and became his mentor and coach, and kindly presented him with his old cricket bag. “It was a real sturdy thing made of leather. It was a great honour owning that bag.” As the two got to know each other better, and seeing the boy’s skill in both sports, Todd arranged for the seventeen year old to have a trial at Dulwich Hamlet. Derek’s father accompanied him on the journey from his home in Crayford to Champion Hill. Derek soon made his way into the Hamlet’s ‘A’ side, then the Reserves, before appearing for the First Team late in the year. Although the records I have seen for that time period are quite sparse, Derek is listed as playing in the Boxing Day match, and noted as the scorer of the Hamlet’s solitary goal in a 6-1 defeat at home to Walthamstow Avenue in the New Year. After his own stint in the army through national conscription, Derek signed professionally with Charlton Athletic, and often played before packed crowds of 70,000. He remained with the club throughout the 1950s and for several years was captain. Many would have retired from the sport had they had a similar recurring injury like Derek’s, but he soldiered on despite his affliction. “You only get about fifteen years in a sport. 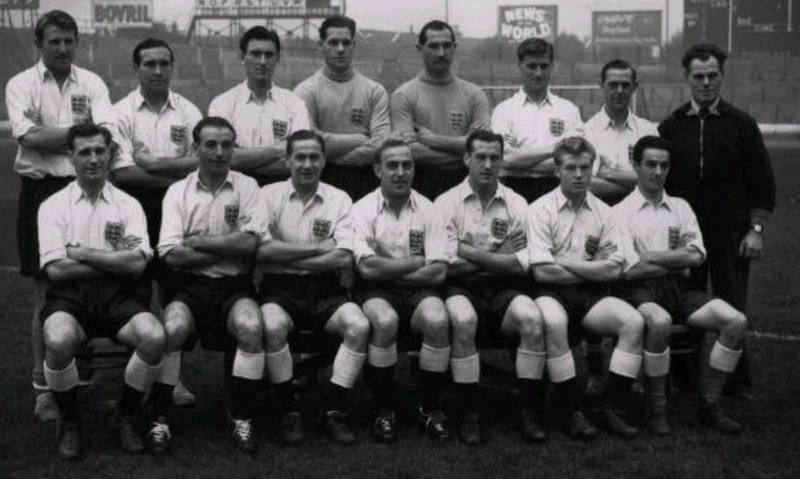 You may finish at 35 if you’re lucky.” Such was his resolution, that in 1953 he reached the pinnacle of his career with an England call up against the Rest of Europe at Wembley Stadium. Lining up with such giants as Billy Wright, Stan Mortenson, Nat Lofthouse and Stanley Matthews, the game ended in a 4-4 draw with Alf Ramsey converting a late penalty to spare England’s blushes. next to Alf Ramsay and behind Stanley Matthews. Between 1949 and1962 Derek also played 148 first class matches for Kent County Cricket Club. In those thirteen seasons the left hander scored 3,915 runs, took 269 catches and recorded 44 stumpings. He then joined Plymouth Argyle as head coach under Malcolm Allison. When Alison moved on to Manchester City, Ufton took his place as Argyle manager. Despite gaining popularity in his first season at Plymouth the club failed to progress, and went on to plummet in the following seasons. He was eventually sacked after finishing rock bottom of Division 2. This relegation blow saw him quit coaching altogether, and he never managed again. In later years he returned to Kent CC, becoming President in 2001. “It allows me access to the Holy of Holies.” In 1984 he also returned to Charlton Athletic and played a key role in their return to The Valley in 1992. This followed several years in the wilderness playing their home games at Selhurst Park and Upton Park. The historic homecoming was an emotional day for Derek, former player and now director of the CAFC limited company, and every time he faced an interviewer he broke into tears. Although he only played a handful of matches for Dulwich in that immediate post war season, as far as I am aware Derek Ufton is not a member of Dulwich Hamlet’s Vice Presidents’ Club. He should be. He would be a great addition to a long list of former players that attend the odd game or two a season at Champion Hill. Now an octogenarian, he has certainly contributed a tremendous amount to sport in the south east, especially in Kent. A sporting life that goes back almost seventy years when he started out as a teenager for Dulwich Hamlet. I was slightly taken aback when the announcer mentioned that one of the day’s guests was Derek Ufton. He was here as part of the Vice Presidents Club who were sponsoring the match with VCD Athletic. As a boy Derek’s local club was VCD but he found himself playing for Dulwich Hamlet for a short time following the war. From my position behind the dugout I picked him out. I had in my head a picture card portrait of Derek in his playing days, and although now very aged it wasn’t difficult to spot him. I waited for him to finish his half time cup of tea and biscuit and I went up to introduce myself. He was pleased to see me. He had recentlysent me a lovely letter, via the club thanking me for the article on him in HH25. He was extremely grateful. “Hello, Derek, I’m Jack from the Hamlet Historian.” I said. “Jack McInroy.” he said. “You are the person I wanted to meet today. I didn’t want to leave here without seeing you and thanking you for your article.” It then dawned on me that my request that he be invited along to Champion Hill for his first visit in many decades had come to fruition. Bob ‘the Cat’ Bevan bringing him along. It was quite a thrill that our little magazine was responsible. We didn’t chat for long. A week earlier he had spent the day with his old friend Bobby Charlton, and soon after this game Derek would be rubbing shoulders with Hamlet supremo Gavin Rose. He recalled playing against the legendary Duncan Edwards, who Bob the Cat, at his side, had seen play at the old Hamlet ground for the British Army against the French Army in 1956. Up front for the French with two of their goals in a 3-1 win – Just Fontaine, who two years later scored a record thirteen goals in the World Cup. You see, all the legends make a visit to Champion Hill. In recent years the game that has left the bitterest taste in the mouth of all Dulwich Hamlet fans is the Leatherhead debacle in our Ryman Division One South championship winning season. With minutes remaining and Dulwich two goals up the referee decided to abandon the match. A perimeter wall collapsed whilst Hamlet fans were celebrating the second goal sending a dozen or so people onto a pile of rubble. It was fortunate no-one was seriously hurt. Only moments earlier Danny Carr was on the other side of the wall hugging the fans. I dread to think what injuries he would have incurred had he been under that lot. Two broken legs at least. Within minutes the rubble was cleared from pitch-side by Hamlet fans alone, with no help from the stewards or home supporters. Not that any of it was on or even close to the pitch. However, a few of the Leatherhead players persisted that the game be abandoned for health and safety reasons. And to everyone’s amazement they were successful in their petition. The referee brought the game to a sudden conclusion without, it seemed, giving a second thought. Instead of taking the players off for 15 minutes whilst any imaginary objects could be removed, the match was over! It was a totally unjust decision by the referee, and Hamlet supporters and players were right to feel aggrieved. What irked the Hamlet fans even more was when one of the Leatherhead players later tweeted that he was “Buzzing. Feels like a win.” Really!? And to make matters worse it was even suggested that the collapse of the wall was the fault of the away supporters! Really!? Despite written appeals to the Ryman League secretary the game was ordered to be replayed. Needless to say Dulwich lost the rematch, and though a dent was put into their championship hopes, the title was secured on a nervy last day of the season at Champion Hill. Now rewind a century or so, and spare a thought for the staff and supporters from 1905/06. Holders of the Surrey Senior Cup, Dulwich Hamlet began the season with a bit of a team shake up. This was mainly due to the Brothers Buck joining the Champion Hill side. They were a welcome addition and brought with them much experience. Things went extremely well and three cup finals were eventually reached. On the way to the Surrey Final Dulwich disposed of Weybridge, the Guards Depot, and Guildford in the semi-final replay after the original tie was drawn. They now had to face Croydon in the final. Now defunct, this club is no relation to the Croydon FC of today. Croydon’s home ground was in Brigstock Road, Thornton Heath. The clubs had already faced each other as they competed in the same division of the Southern Suburban League. The final took place on Easter Monday, on the Hamlet’s return from the club’s tour to the Kent seaside. Over the weekend Margate and Ramsgate St George were played on successive days, and this was now the third game of the Bank Holiday. A crowd of 3,500 came to the County Town of Guildford to see the final played out on a neutral ground. The game ended goalless. A fourth game in 5 days took place the following evening when the Hamlet took on Guildford in the final of the Surrey Charity Shield. This time Croydon’s pitch was used, and the Hamlet easily overcame their opponents 5-0. The first piece of silverware was secured. As well as reaching the final of the Surrey Senior Cup, Dulwich, along with New Crusaders, were also finalists of the London Senior Cup. This had been contested a couple of weeks earlier, but again a draw had taken place, Harry Buck scoring both Dulwich goals at the Herne Hill Track (today’s Velodrome). The crowd was an enormous 11,000, one of the largest gates the capital’s senior amateur competition had registered. Never had so much money been taken – a whopping £271. The replay eventually took place at Herne Hill on Saturday 28 April with New Crusaders triumphing 3-1. The Surrey Cup replay was scheduled for the Crystal Palace stadium in Sydenham as a postscript to the FA Cup Final. One can see the thinking behind this: the opportunity to get the largest crowd imaginable and therefore bigger gate receipts; the close proximity to both finalists and their sets of supporters. But there were some detractors who complained that, as the Surrey Football Association derived its support from Surrey clubs, it was only in fairness to fans from all over the county that the replayed final should have been more central, regardless to who the finalists were. But in reality, if a football supporter is expected to come up to London from Tyneside or Merseyside, as was the case that year, to see their team in the FA Cup Final, what is the big deal in getting from Farnham or Haslemere to Sydenham? 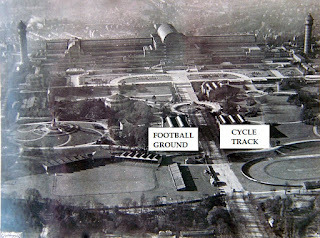 Crystal Palace, back then was a place of continuous entertainment. I suppose today we would describe it as a Theme Park. As well as the multitude of exhibitions and wonders within and without, the beautiful grounds and amazing views, one could also witness the ascent of a hot air balloon or check out the racist-tinged ‘objects of curiosity for the amusement of all’ that were the ‘Pygmies from the darkest forests of Central Africa.’ All the way from the Congo came four men and two women, only three feet or so in height, to be gazed upon by all. “Everyone should see these little people before they leave England.” ran the advertisement. And in just over two years about a million did. In the grounds stood the equally famous stadium, which for some years had been used for the FA Cup Final. The present season had also begun with a brand new football team to English football – Crystal Palace FC, the glaziers, who now played their home matches there. 75,000 turned up to watch the FA Cup Final between Newcastle United and Everton. The rail companies laid on a hundred and fifty special trains for the occasion. The numbers were down on the previous year, and it was the usual damp squib, neither team enjoying their best form. One goal decided the encounter and Everton lifted the cup. 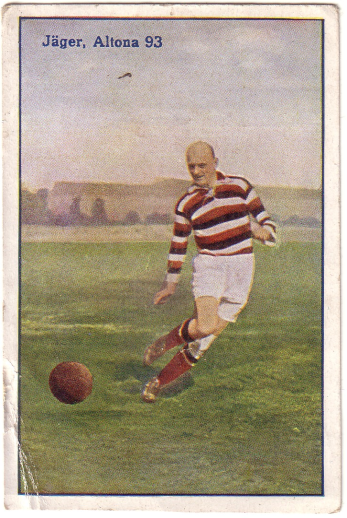 The goalscorer Sandy Young, was regarded as one of the great forwards of the day. But he was mentally unstable and some years later shot dead his own brother while he was milking a cow! He then made a botched attempt on his own life before serving time in prison for manslaughter. At the conclusion the vast hordes made their way back to Euston for the north, or stopped off for further celebrations in central London. The remainder stayed at the Crystal Palace, relocating just a stone’s throw, to the Cycle Track next door (see picture), where in the shadow of the old glass edifice, a crowd of 18,000 witnessed the two amateur teams battle it out for the Surrey Senior Cup. By the time of the 5:30pm kick off the ground was filled to overflowing. A human barrier formed right up to the touchline, and it was inevitable that some enthusiasts would encroach onto the field of play during the match. Six of the Dulwich players were from the previous year’s final. The two teams could not have been more contrasted. Croydon played a kick and rush game whilst Dulwich excelled in keeping the ball down. The Bucks were on good form. 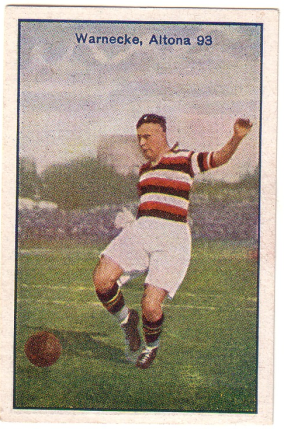 Fred Buck scored the first – an assist from young Albert Russell. Sid Buck then dashed onto Tom Rose’s through ball for the second. Harry Buck got the third. With the trophy as good as won, Dulwich then decided to slow down the pace, with an eye, perhaps, on the following week’s London Senior Cup Final Replay. Immediately after the final whistle the Croydon officials began to make a petty exhibition of themselves, and let it be known to Pa Wilson and George Wheeler (Dulwich Hamlet), and the dignitaries from the County Association that they would be making a formal complaint to the Surrey FA about the conditions during the match. Admittedly, the crowds were far too close to the pitch, but it was the same for both teams. Most people could see that these were highly unusual circumstances. Few, if any of the twenty two players, had entertained such numbers before. And besides, the sole adjudicator, the referee, had seen fit to allow play to continue for the ninety minutes. One feels that had Dulwich lost in the same manner they would have accepted defeat. Four days later a council meeting of the Surrey County Football Association took place at the Surrey County Cricket Club headquarters at Kennington Oval. Their chief business was to discuss Croydon’s complaint at Dulwich Hamlet. “During the progress of the match the crowd encroached upon the field of play.” Amazingly the protest was sustained, and the final was ordered to be replayed yet again on the last day of the season, Monday 30 April 1906, at Herne Hill. For everybody connected with Dulwich Hamlet Football Club the decision left a nasty taste in the mouth. So infuriated was Mr Wheeler when his club was informed the following morning, that he decided not to express publicly what he really thought of the decision. He denounced the ordering of another match, and could not agree with the opinion of the Surrey FA and never would. The relationship was well and truly soured. To show their great indignation the club returned the 80 tickets they were allocated for the post-match Smoking Concert at a plush Holborn hotel, where the presentation of the Cup and medals was to take place in a few days time. What began as a bad day for the club got progressively worse as they then had to withdraw from their remaining fixtures with the Southern Suburban League. Some of the blame must be laid at Dulwich’s door in allowing the fixtures to pile up in the first place. The first team had partaken in nine friendlies during the actual season! Pa Wilson’s vested interest in both the club he founded and the league they played in – in which he was founder and President – probably influenced the decision. It was a matter of honour. Had it been another member club in the same situation maybe the season would have been extended for them. The whole unraveling debacle was so frustrating. Pa Wilson even complained in a daily newspaper, but his protestations were to no avail. When it came to the replay of the London Senior Cup Final at Herne Hill on the Saturday the stuffing was already knocked out of the Hamlet team. The New Crusaders, taking advantage of the Hamlet’s wrong frame of mind, won the match 3-1. There was now just one more chance to win a trophy to keep the Surrey Charity Shield company. A determination to do better on Monday, and show these people, was now in the forefront of everyone’s mind. On the very last day of the season the Dulwich side was back at Herne Hill for the second time in three days. I have no record of the line-up for the second replay for the Surrey Senior Cup. Dulwich won the final tie 2-1. Come the final whistle "a remarkable demonstration took place in front of the pavilion. Doddy Wight, the Hamlet captain made a rousing speech before the dignitaries, some of whom had previously received much hostile criticism when attending the London Final two days earlier at the same venue. Wight's address was followed by another from George Wheeler the club secretary. Mr Glanville of the Surrey Association then made a futile response which was greeted by wagging fingers, shaking heads and a few choice words. Having boycotted the awards banquet we can only assume they had their own end of season celebrations at the Grove Tavern or another local hotel. However, Pa Wilson had a change of mind, and as the lone representative from the Dulwich Hamlet Football Club, he attended the annual smoking concert /awards ceremony in Holborn. Pa Wilson had said what he felt he had to say. He had got it all off his chest, and it wasn’t to everybody’s liking. During his speech there was a mixture of cheers and hissing. As the din died down after he took his seat the chairman declared that this was not the place to make a reply. It was meant to be an evening of enjoyment, not football politics. The Croydon players then came up to the stage to pick up their runners-up medals. But a Dulwich Hamlet player was not to be found. Not even Sidney Buck who was to receive his Surrey badge. Instead Pa Wilson collected the Surrey Senior Cup, the Surrey Charity Shield and the players’ medals on behalf of his beloved club. As spokesman for Dulwich Hamlet Pa Wilson had taken the opportunity to air the club’s grievances before the audience of several hundred. Perhaps few could have done so with such dignity. But having made the protest it was now time to look forward and seek to regain some mutual respect. In time Dulwich Hamlet became one of Surrey County’s flagship clubs. The club, in turn, took great pride in its historic link, and incorporated the Surrey coat of arms into the Dulwich Hamlet crest. For many years the Hamlet was one of the greatest amateur clubs in the land. Indeed, the Hamlet went on to win the Surrey Senior Cup a record sixteen times – and they haven’t played in the competition for years. Dulwich Hamlet joined the Isthmian League, currently sponsored by Ryman, at the commencement of the 1907/08 season. And they have remained there ever since. A season by season record can be found at the Dulwich Hamlet page of the Football Club History Database. The club has had some ups and downs along the way, and even a re-election, but it is still there in the Isthmian Premier League. However, that could well change in the next year or two if the team under the direction of Gavin Rose continues its rise. The following lists the club's earliest movements in the local leagues and the various successes it achieved. 1892/93 Friendlies began in the second half of the season. All games were lost. Finalists of the London Junior Cup – lost second replay to Commercial Athletic. Winners of the London Junior Cup – beat Waverley. Won 20 of 21 games played. Lost the final game of the season. 1902/03 Southern Suburban League Runners-up. 1905/06 Southern Suburban League Division 1– unable to complete fixtures and withdrew from competition. "You collect Dulwich Hamlet stuff, don’t you.” asks Jamie Wyatt at a Bognor Regis Town tea bar. “Some things.” I say. 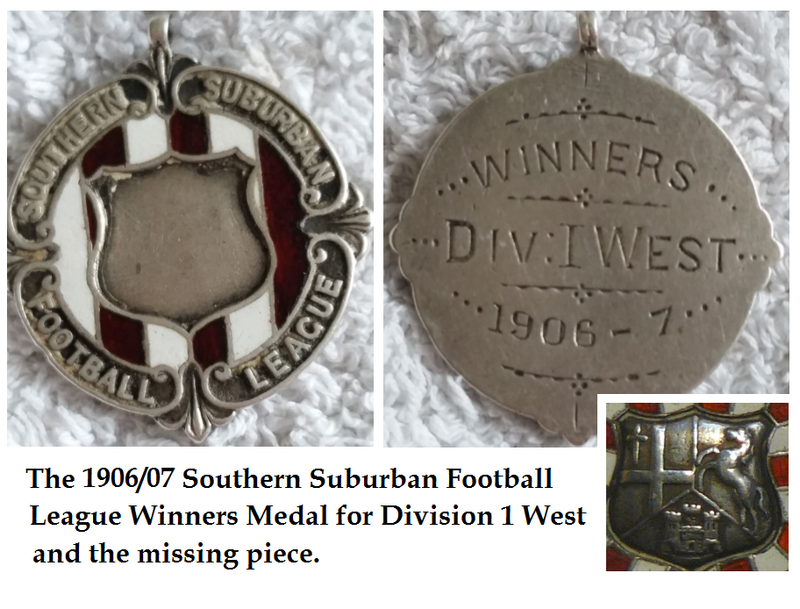 After a few more enquiries he dropped into my hand a jiffy bag containing a 1906/07 Southern Suburban Football League winner’s medal. Over a century ago it had been awarded to a Dulwich Hamlet player. The reverse of the medal reads “WINNERS – DIV.1 WEST – 1906-7.” These were ancient days when Hamlet players were better known by their nicknames, ‘Doddy’, ‘Badger’, ‘Wozzle’, and ‘Tyke’. Jamie purchased the medal via Ebay and wanted it to stay with the club. Good man. A closer study revealed that a part of the medal is missing. 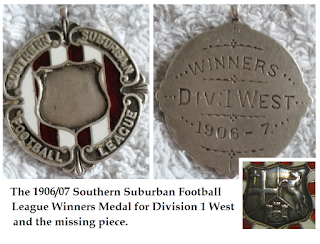 The crest of the Southern Suburban League should sit in the centre, but the piece has been lost along the way. Still, it is a nice artefact of Hamlet history. Further study also reveals that the Dulwich Hamlet Reserves competed in that division at the time. The league dated back to 1897 and ran for about forty years. In the early days, and prior to joining the Isthmian League – where the club remains to this day – the Hamlet’s First XI, Reserves and ‘A’ teams all partook in the competition at different times and in different divisions. This all adds to the confusion. The influence of Mr Lorraine ‘Pa’ Wilson, (pictured below) the founder of Dulwich Hamlet Football Club, spread far and wide. Even today one of the scholarships at Dulwich College is named in his honour. He was a leader in a number of other South London sporting societies and organisations, one of these being the Southern Suburban Football League. Among its members in the early years were some of the best amateur sides in the south east: Wimbledon Old Centrals, Charlton Athletic, Sutton United, Croydon, Bromley, Tooting Town, Old Kingstonians, Carshalton Athletic, Nunhead, Metrogas, West Norwood, Cray Wanderers and Dulwich Hamlet. On its foundation Pa Wilson was nominated as the Honorary Secretary, a position he held for the first three years. The league enjoyed a very successful start. The first season comprised of 19 clubs, and this was extended to 28 the following year, when a nicely compiled handbook was produced. Originally, member clubs had to be within a ten mile radius of Crystal Palace, but the criteria was soon changed to allow Redhill FC entrance. But during the third year things began to take a decided turn for the worst. Problems seem to have stemmed mainly with the top division. This consisted of just five clubs – Bromley, Foots Cray, Old Askeans, West Croydon and the 3rd Kent Vol. Artillery. West Croydon and Foots Cray soon resigned and Bromley were suspended, which led to the competition being abandoned and many fixtures unfulfilled. After such embarrassment, the officials were actually about to call it a day and disband the league altogether. In stepped the extraordinarily gifted Sydney Smith, who devoted himself to getting things back on track. Smith, along with Pa Wilson, entirely reformed the League by amalgamating with the recently defunct Camberwell & Brixton League (another of Pa Wilson’s creations), and the South London League. Smith and Wilson were clearly soul brothers – each one a guiding light, philosopher and friend. Countless junior footballers in South London owed these two men a huge debt of gratitude. By 1904, with Pa Wilson now the league’s President, it was reputed that the management and organisation of the Southern Suburban League was unrivalled in England. 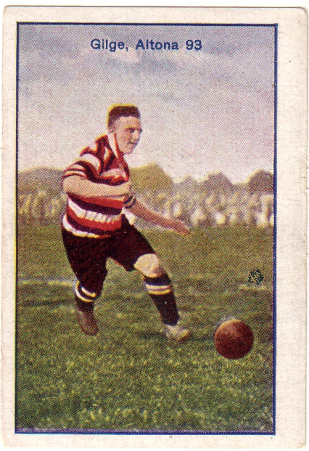 “Aiming at being something more than a mere collection of clubs banded together to play one another for points and trophies, the management takes a very lively interest, not only in the fortunes of the clubs competing, but also in the well-being of individual players of the various teams.” (South London Press, 2 November 1904) This was typical of Wilson, whose tireless work as the founder, secretary and president was acknow-ledged when he was awarded a gold medal and an illuminated address from the league. In the very first season, 1897/98, Dulwich Hamlet finished top of Division 2. Eight teams competed in this division, and of the fourteen Dulwich games they secured twelve wins, with one draw and one defeat. The Dulwich Hamlet first team were champions of the Southern Suburban League Senior Division in 1901/02 and 1903/04 (Oliver Isaacs Shield). In the season between they finished level on points with West Norwood. 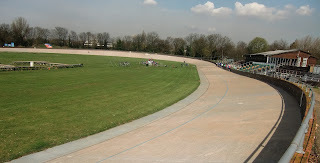 A play-off between the two teams took place at Herne Hill Track where the home side were victorious. Towards the end of the 1905/06 season Dulwich Hamlet withdrew from the Southern Suburban League. They had been ordered to play their final 4 games in the next 4 days. An impossible task: Two of those days were already given over to the replay of the London Senior Cup Final and the second replay of the Surrey Senior Cup Final. The club felt it would be unfair to the teams they had already played if they were to field the Reserves in some of the remaining games. And besides, the Reserves were competing in their own section of the League anyway – which they won, and with it the Dewar Shield. The 1906/07 season saw the Reserves win the Division 1 West section of the Southern Suburban League …which, you may remember, is where we came in. 1. To promote friendly rivalry among senior and junior South London clubs. 2. To enable the supporters of the competing clubs to follow their respective teams in ‘away’ league matches at a minimum cost. The following 8 clubs are expected to join the First Division: Annerley, Bromley, Deptford Town, West Croydon, Wandsworth, Vampires, West Norwood, Old Wilsonians or 3rd Grenadier Guards. Mr Lorraine Wilson of Lynton Lodge, Dulwich, was appointed Secretary (pro. tem.) and after framing the rules the meeting was adjourned until May 3, at 6.30pm, in order to select clubs for the respective divisions, as well as to appoint office bearers. Strong clubs desirous of competing are invited to communicate with Mr L. Wilson from whom copies of the rules and other details are obtainable. Such clubs are invited to attend the meeting on May 3, and can obtain admission cards on application. The Southern Suburban League delegates meet on Monday evening to discuss the final preparations for the floatation of the League. It is to be hoped the venture will meet with every success, Mr W.O. Mackley may perhaps accept the secretaryship – a good man too. 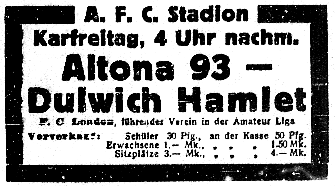 In the last few years Mishi Morath and I have tried to find out more about this early friendly match by searching through newspaper archives. In the 1920s most of the German newspapers were associated with political parties. All the left-wing and working class papers did not mention the clubs from the German Football Association (DFB) because their clubs were organised in another football association! 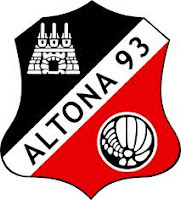 Altona was an independent city until 1937. That is the reason why only three newspapers are important for us: Altonaer Nachrichten, Hamburger Nachrichten and Hamburger Anzeiger. There were also some football magazines at that time as well, but they were devoted to West and South Germany and are not located in Hamburg. A funny episode happened on the journey from London to Hamburg. One of the Dulwich players went missing for a couple of hours somewhere in Saxony. He had fallen asleep on a platform in the station of Osnabrück and missed his train, eventually turning up later in the evening. The German journalists had been astonished about the fact that Dulwich Hamlet FC had 300 members and a kind of freeze on admissions. 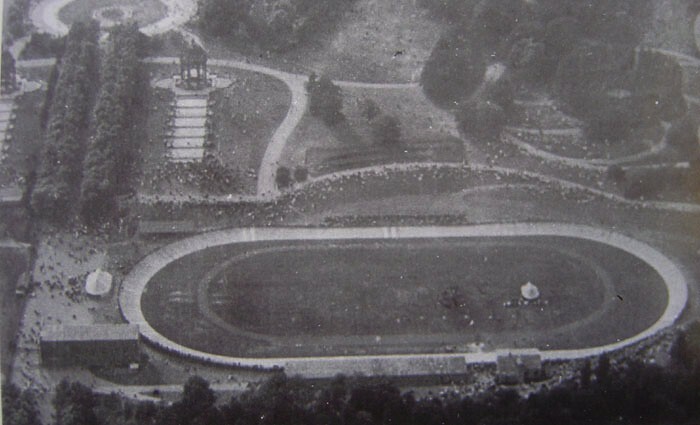 The match itself was watched by 6,000 to 7,000 people. Although there had been a strike in the public transport sector, the trains from Hamburg ran with additional wagons. All the journalists were impressed by the combinations and the technical skill the Dulwich Hamlet side showed over 90 minutes. Altona 93 could not keep up with the speed of the game, and a lot of spectators were confused that all the Dulwich players defended in their own half when Altona had the ball. The Dulwich strikers were very quick paced and, supported by some defenders, were soon on the counter attack and back in front of the Altona 93 goal. The first goal was a strong 20m shot from Edgar Kail, the second and third were results of defensive mistakes and the fourth was a great Kail solo goal. 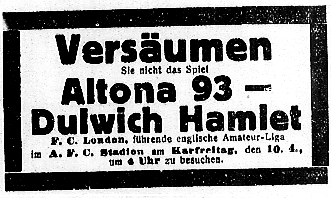 The only Altona 93 player who could keep up with the Dulwich side was Adolf Jäger, who scored the late consolation goal following some dribbling from his teammate Oswald. In summary it was a well-deserved win for Dulwich Hamlet, despite Altona 93 winning a lot of corner kicks during the match. Dulwich Hamlet, in the course of their tour in Germany, played three matches, winning one, drawing one and losing one. They opened on Good Friday against Hamburg Altona, one of the leading teams of North Germany, and won easily by four goals to one, Kail being in irresistible form. For the second encounter only four first team men were available and, to make matters worse, Bunce twisted an ankle after twenty minutes' play. A draw of one-all therefore was not out of place. In the third game, the tourists were a distinctly tired side, and although the score was 1-1 at half-time, the speed and ball control of the Germans proved too much, and the home team won by three goals to one. Hopefully there'll be a return match between our first teams someday.